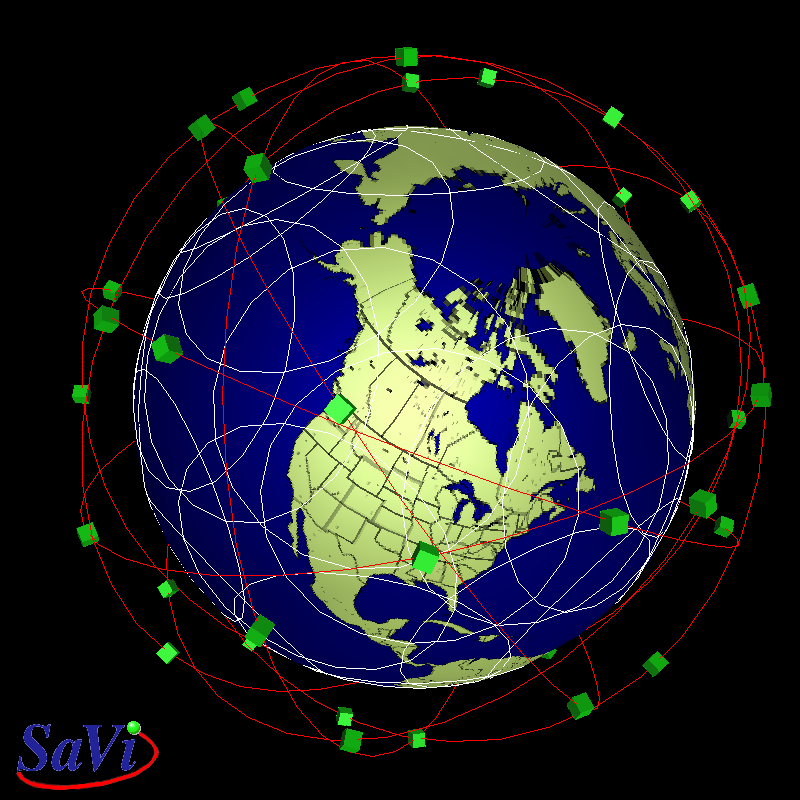 A rendering of the final Globalstar design, with 48 active satellites in 8 planes of 6. Any use of renderings should credit SaVi. An interactive java animation of Globalstar is also available.